Chanterelle mushrooms. One of the most delectable of all mushrooms. It is described as having a fruity smell, similar to that of apricots, and a mildly peppery taste. Chanterelles have graced dinner plates as far back as the 1500’s, but it wasn’t until the 1700’s that they gained widespread recognition as a culinary delicacy in French cuisine. During the 18th century they were most commonly eaten among nobility. Fortunately they are widely accessible today and are harvested and enjoyed throughout many countries. Chanterelle mushrooms twin beautifully with cream sauces. 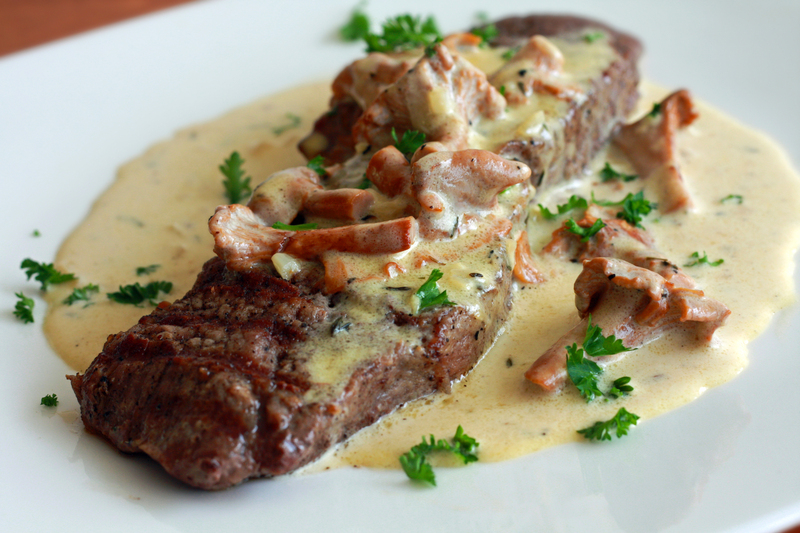 Here is a delicious cream sauce to serve with your favorite cut of steak.